PRESS RELEASE: Culture Shock Expo and Concert Launched and Ready to Go! The highly anticipated event Culture Shock Expo and Concert was officially launched and the school promotions are on! 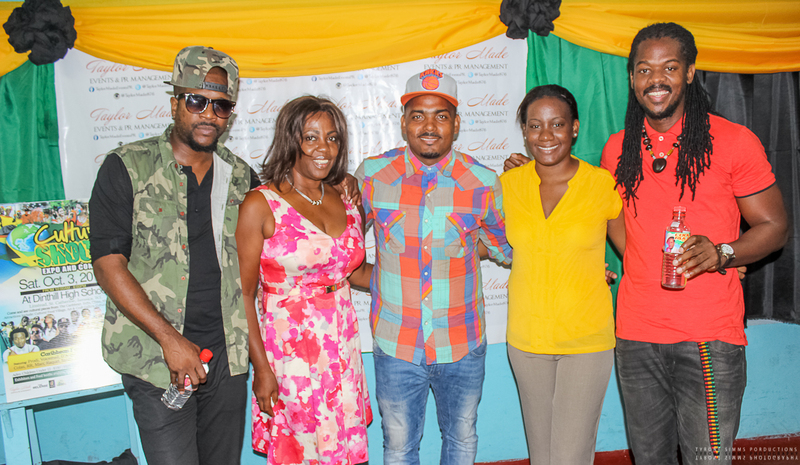 Taylor Made Events and PR Management hosted a successful launch for the Culture Shock Expo and Concert slated for October 3, 2015 at Dinthill High School in Linstead, St. Catherine. In her presentation at the launch, Taylor presented her display highlighting the features of the event including the Cultural Food Village with several cuisines, the Art and Craft Gallery, and the Cultural Fashion Village. She also pointed out to the involvement of Suncity 104.9FM, Hype TV, EPlus TV and entertainment news programme, The Release that are media sponsors for the event. The guest speaker for the launch Mr. David Reid, the Eastern Regional Manager at JCDC, also delivered an impressive speech highlighting that Jamaican culture impacts other cultures all over the world and that all Jamaicans are trend setters. June Isaac (the wife of the late Gregory Isaacs) was also in attendance; she also highlighted her eagerness for this cultural event for which she pledges the full support of the Gregory Isaacs Foundation. The event not only seeks to ‘edu-tain’ students but the organizers are also recruiting young talents that have incredible art and craft pieces that they want to showcase. 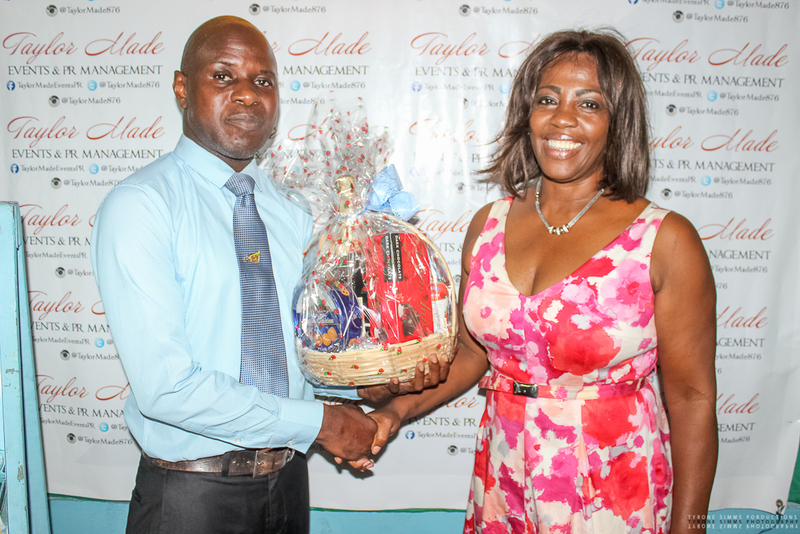 Taylor shared “We believe in showcasing young talent and Jamaica is filled with artistic people so we do have a gallery that is open for artist to showcase their work and possible get sales. All they have to do is send us sample photos of their work and their contact information to info.taylormadepr@gmail.com”. The event will also feature a Caribbean Fusion Concert which will feature cultural dances, dub poetry, instrumental performances and guest artistes. These performers include D’Angel, Prodi (formally Prodigal Son), Voicemail, Radijah, Guidance,A-Game, D’Medz, TheOutcome, dub poet group Colas, RR, Marr, Racquel Jones, Ras Extr3me, Aljermaine, Blass, Jah Jah & Asha, A-Shane and Sanity just to name a few. Culture Shock is slated to begin at 10 am and end 6 pm and will be hosted on the Dinthill High School Grounds in Linstead, St. Catherine on the 3rd of October 2015. Hey guys! Today I will present the 2nd part in my “It’s A @Jamaica50_ Thing!” series. Today I will feature parts of May Pen, Clarendon. Check out the pictures below and share your thoughts in the comments section.